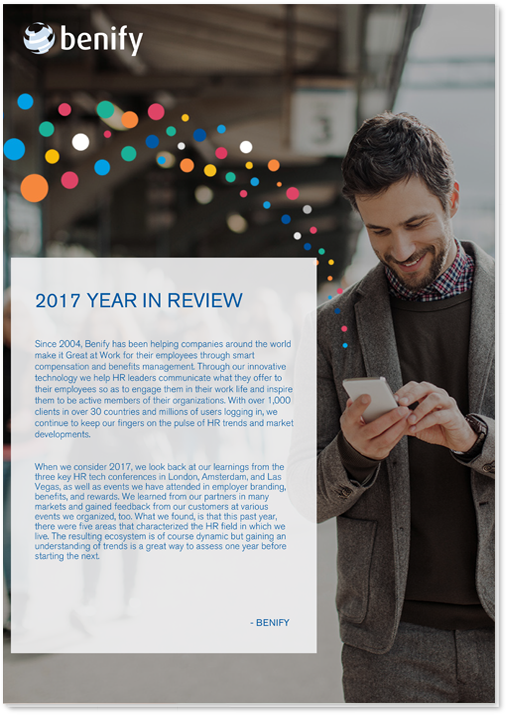 Benify continues its leadership role in the global HR landscape. Through interaction with employers and their employees plus participation in events on both sides of the Atlantic, we see that the ecosystem continues its dynamic development. Read our review of the biggest HR trends in 2017 here.